Adult leaders in units are considered trained and eligible to wear the official Trained emblem when they have completed Youth Protection Training and the training courses outlined below, or have completed Youth Protection Training and a previous basic training course when it was current. True youth protection can be achieved only through the focused commitment of everyone in Scouting. It is the mission of Youth Protection volunteers and professionals to work within the Boy Scouts of America to maintain a culture of Youth Protection awareness and safety at the national, regional, area, council, district, and unit levels. You do not have to be a registered member of the Boy Scouts of America to take Youth Protection training. The BSA has adopted policies for the safety and well-being of its members. These policies primarily protect youth members; however, they also serve to protect adult leaders. All adult leaders must have current Youth Protection Training. This is a complimentary face-to-face classroom training event hosted by the Coastal District. Light refreshments and fruit trays will be served. BALOO training has recently been revised and is required for any Cub Scout den or pack outdoor event, including pack camping, overnighters and Webelos den overnighters. BALOO training is now comprised of two components – an online component, and a practical, hands-on component. Both components must be completed to qualify as a trained Cub Scout outdoor leader. The online component contains introductory and basic information and must be completed prior to the practical component at my.scouting.org. The practical component is an overnight that takes about 16-hours to complete and will include meals. COST: $30, Food will be provided, but participants in BALOO training will be doing the cooking. Leader Specific Training provides the specialized knowledge a new leader needs to assume a leadership role. Den leaders (tiger wolf, bear) and Webelos den leaders are provided with the information and tools needed to conduct successful den meetings. Cubmasters and pack committee members are provide with information and tools needed to successfully plan a successful pack program. These trainings can also be taken online. This training is for all registered adult Cub Scout leaders, potential leaders, and interested parents, including Cubmasters, Assistant Cubmasters, Den Leaders, Assistant Den Leaders, Webelos, Lion Parent Partners, Pack Committee Members, Event/Activity Chairpersons, Chartered Organization Representatives, and anyone who wants to learn more about having a better Cub Scout Program. 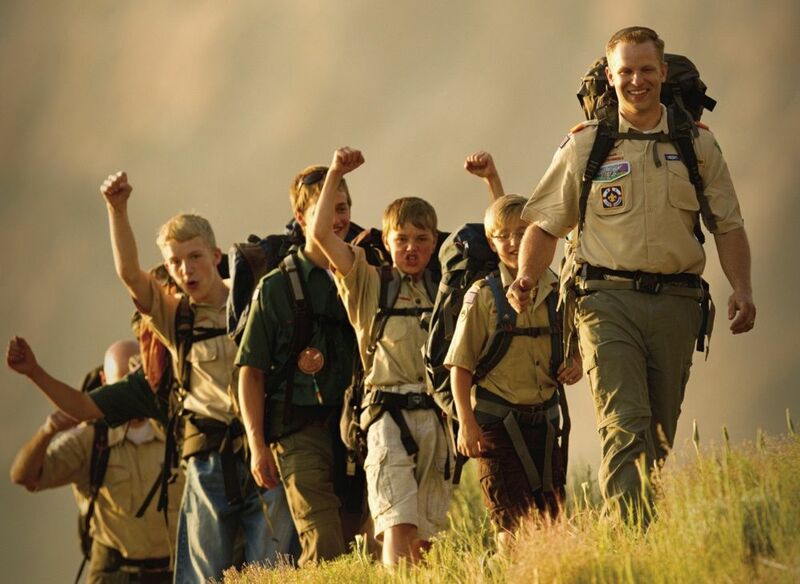 Training sessions are on relevant topics for every Cub Scout position and will help you become a better leader while making your Cub Scout Program more fun for the Scouts and you too. Pow Wow is an all-day training event and the course sessions are intended for adults only. We do not have provisions or accommodations for children watching and day care. Thank you. PLEASE BRING: Boy Scout/Webelos Handbook, tent & sleeping gear, camp chair, eating utensils, compass & pocket knife (If you have one), paper & pen, uniform and rain gear (depending on the weather). Den Chief Training is basic training for Boy Scouts interested in becoming den chiefs for a Cub Scout den, and for adult leaders who wish to know more about this vital position. This course can be taken online. Prepare for an intensive weekend course which will take a Scout or adult through the required Boy Scouts of America Lifeguard Certification. Participants must be at least 15 years of age to receive certification. COST: $130. Limited to the first 24 participants. Please eat lunch before you arrive at camp. Meals for the rest of the weekend will be provided. Paddle Craft Safety expands Safety Afloat training to include the skills and knowledge needed for a unit leader to confidently supervise canoeing or kayaking excursions on flat water. Safety Afloat training may be obtained from the BSA Online Learning Center at myscouting.org. Confirmation of training is required on tour and activity plans for trips that involve boating. Additional guidance on appropriate skill levels and training resources is provided in the Aquatics Supervision guide available from council service centers. Safe Swim Defense training may be obtained from the BSA Online Learning Center at myscouting.org. Confirmation of training is required on tour and activity plans for trips that involve swimming. There is inherent risk in climbing and rappelling. With proper management, that risk can be minimized. Leaders should be aware that Climb On Safely is an orientation only, and does not constitute training on how to climb or rappel. Climb on Safely training may be obtained from the BSA Online Learning Center at www.myscouting.org. Learn about the new practices that go way beyond what Scouting leaders may already know as "first aid." This will help you cope with medical emergencies in the wild and perhaps more importantly, to be a more effective manager in any crisis. This course is a BSA Policy Requirement. As of 2008, the requirement is for at least one leader in each group, not just unit, must have this certification for high adventure camps. So, if your unit has a trek that will be broken into multiple groups you will need one leader per group trained. Hazardous Weather training must be completed prior to requesting a tour permit from the BSA. The module presents safety precautions for eight different types of weather, as well as planning, preparation, and traditional weather signs. Participants answer questions about the topics after each section. Completion is noted automatically in the BSA training records database, if the module is experienced online. Hazardous Weather training may be obtained from the BSA Online Learning Center at www.myscouting.org. Estimated time to complete: 40 minutes. Hazardous Weather training must be completed prior to requesting a tour plan from the BSA. The Philmont Training Center is the only national volunteer training center for the Boy Scouts of America. Since 1950, PTC has provided a unique environment for training volunteer and professional leaders, and a fun family program for every member of the family. Each year, more than 6,000 Scouters and family members attend PTC. Powder Horn is an action-packed, hands-on course which helps Scouts and Scouters learn how to implement high adventure activities into their troop, crew or ship. Would you like to expose your troop, crew or ship to rock climbing, Dutch oven cooking, geocaching, canoeing, kayaking, sailing, paddle boarding, firefighting, search and rescue, trekking in a different countries, mountain biking, fly fishing, canoeing, wilderness first aid, astronomy, shooting sport (e.g., rifle, shotgun, handgun, archery), equestrian, 1860 baseball, wilderness survival, NYLT, Sea Scouts, the Kodiak Challenge, the Hornaday award, Messenger of Peace, living history, Leave No Trace, vendors, Jamboree, event planning, tying flies, scuba diving, and more. AGE REQUIREMENT: Open to youth and adults ages 14 and up. NYLT models a month in the life of a unit. It represents an activity cycle in the life of a typical Scouting unit. The first three full days of the course represent the planning stages, complete with leadership council meetings, unit meetings and planning for a larger event. Participants use the full range of BSA resources for planning and conducting meetings that are interesting, lively, and relevant; a skill participants can incorporate with great effect when they return to their home units. Give participants the confidence and knowledge to conduct their own BSA program. Provide participants with a clear understanding of team and personal devining. AGE REQUIREMENTS: Unit leaders should not allow exceptions to age and rank requirements. Experience has shown that youth younger than 13 often lack the physical and emotional maturity to benefit fully from the NYLT experience. Select and invite youth from your unit who you as a leader believe will gain the most from the course and will be the best servant leaders. Make sure that the youth whose names you submit are willing and eager participants. They will be best served by the NYLT experience. DATE: Event to be held in 2020. Please check back. Bay Area Council will be conducting a Recharter Training class annually. Please check back for training opportunities. The purpose of the training is to discuss the process of online rechartering. We will go through step by step the procedure that units should be following. It is essential that at least one person from each unit attend the training. Recharter packets will be available for all units. Question and answer time for membership and advancement issues will happen at the end of the meeting. Operation of BB and archery ranges for Cub Scout activities and events require qualified, trained range masters. BSA requires all Cub Scout shooting sports to be supervised by a BSA certified range master. Range master training covers setting up a range, safety, handling equipment, using a bow stringer, maintaining and storing equipment and instructing Scouts. Shooting sports/Range Master training needs to be renewed every two years. The Boy Scouts of America National Shooting Sports Manual (No 30931) contains specific guidelines for shooting sports. Important updates were made to the manual in January 2014. See the Guide to Safe Scouting: shooting sports section for additional information. Trek Safely is designed to help Scouting groups be fully prepared for a backcountry trek. It will help each youth member and adult leader recognize situations that could develop, in which the group will have to adjust its schedule or route, or even make camp for the night because of weather circumstances or an injured or ill crew member. Crews that address possible scenarios in advance are less likely to be surprised on the trail. Contingency planning is critical to the success of every trip. Trek Safely may be obtained from the BSA Online Learning Center at myscouting.org. The Chartered Organization Representative Training (Course D72) is for the Chartered Organization Representative (CR) who has not completed their training to become a “Trained Leader.” This training is the in person training that the BSA requires for CRs. Required online training for CRs include Youth Protection (Course YPT01 for all but Venturing, Ships, and Posts which require YPT02 instead), This is Scouting (Course WA01), and Chartered Organization Representative Fast Start (Course D62). This training is designed to introduce adult Venturing crew leaders to the basic information needed to operate a crew. THE TICKET: Have you heard of “The Ticket” and wondered what it is? The ticket is a group of five goals you set for yourself to do after course, to improve your unit. You learn more about this on the course. CONTACT: Wood Badge Course Director to be announced for 2021. The Fundamentals of Training is the first part of the three-part train-the trainer continuum (T3) in Scouting and is intended for both youth and adult trainers. This session is designed to introduce new Scouting trainers to teaching techniques and skills. This first part of the T3 continuum, The Fundamentals of Training, is designed to help Scouters, regardless of their experience, present effective training. The purpose of this course is to introduce experienced Scouters and Scouts to the skills needed to provide effective training. At the conclusion of the training, participants will be able to understand the principles of how people learn, understand four primary methods of instruction used by the BSA, and practice the BSA’s training techniques. Participants should include those individuals that will be delivering training to adults and youth leaders in all parts of the Scouting program including University of Scouting instructors, council and district trainers, Roundtable staff, unit trainers, commissioner trainers, NYLT & Wood Badge staff, Order of the Arrow trainers, and Scouts who are interested in improving their training & presentation skills. Guide to Safe Scouting will prepare adult leaders to conduct Scouting activities in a safe and prudent manner.